"Halls of Ivy: The Chinese Student"
OTRCAT is interested in complying collections of lesser known radio actors who none the less deserve a place of tribute in the history of Old Time Radio. 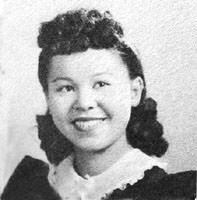 Barbara Jean Wong was a fourth generation Chinese-American born to produce market owners Thomas and Maye Wong on March 3, 1924. She began her performance career at the age of five and was soon dubbed the Chinese-American Shirley Temple due to her long black hair curled into ringlets and her charming persona. 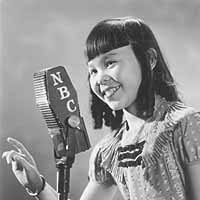 It was recently discovered that she was one of the twins in the children's Christmas old time radio show Cinnamon Bear. 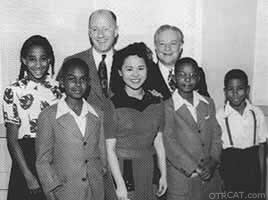 She attended the Mar-Ken School of Professional Children in Hollywood and Mickey Rooney was a classmate. 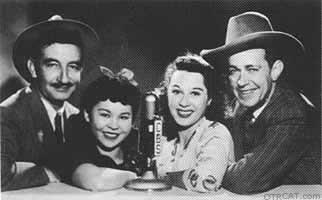 Her biggest radio role was on the comedy show Amos and Andy where she played Amos' daughter Arbadella. 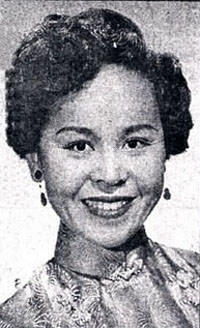 Radio audiences are often surprised to learn that the African-American Arbadella was performed by a Chinese American young woman. She also performed on Lux Radio Theater, Cavalcade of America, Hallmark Playhouse, I Love a Mystery (although her appearances are uncredited), Romance, and many other series. She also starred as the spunky daughter on the rare audition recording, Smiths of San Fernando, which is included in this collection. She attended the University of Southern California (USC) and Columbia University to earn degrees in drama and English. After college, she branched into films and worked in 20 films including "The Good Earth", "The Man from Button Willow", "Love is a Many Splendored Thing", and many Charlie Chan films. When Barbara Jean was married, she retired from acting and earned her teaching credential from Cal State Los Angeles to begin serving her community as a teacher. She was very active in civic organizations throughout her life and died of respiratory illness on November 13, 1999. I am a 15+ year customer; originally from the US. Your website is now excellent. Much better than before. Your description of each of your disk collections is also much improved and very informative. You are the Best for someone who grew up in Los Angeles listening to these shows late at night under my blankets in bed.